Happy summer everyone! Time for swimming, summer trips, backyard bbq’s, et cetera et cetera. Don’t get me wrong, despite the tone of the first sentence, I adore summer. I love the sun. I love the heat. I love being outside. If only work didn’t get in the way so much. Sigh. 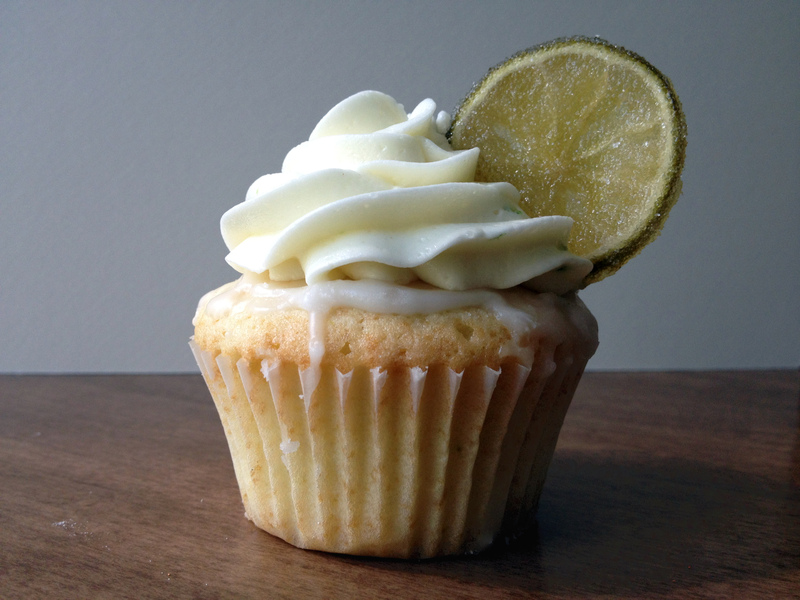 Because I love a good baking challenge, I decided to make cupcakes based on my friends favorite drink: the classic Gin and Tonic. Good? Good. Oh me? I’ve been, well, stressed, but I suppose thats nothing new. 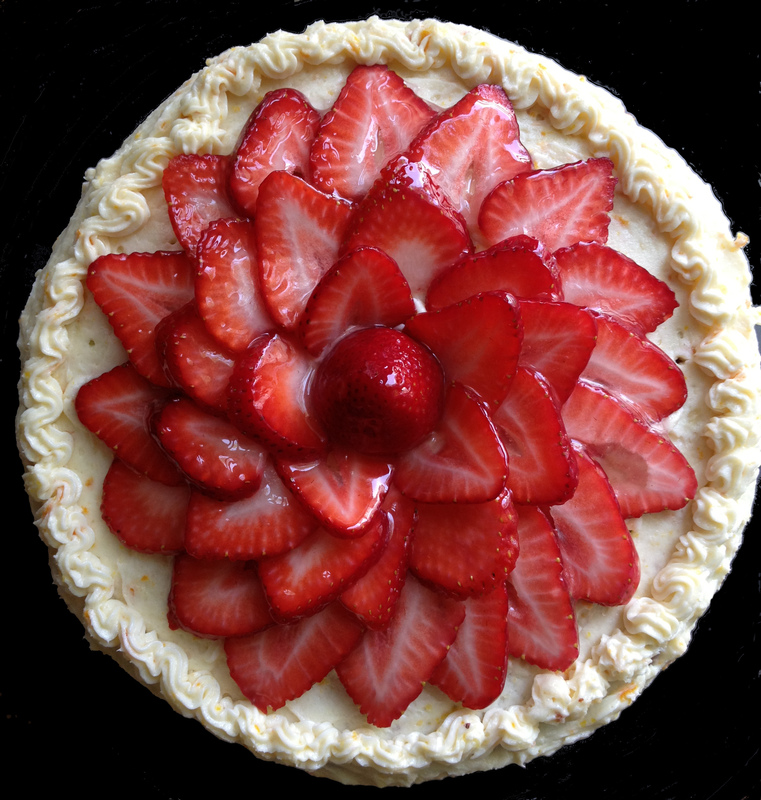 But I have some quiet time now, so I felt that I should show off a dessert I was quite proud of but haven’t gotten around to posting: strawberry cake with fresh strawberry filling and whipped orange zest frosting. I should maybe change the name of my blog from “The ‘Lush’ious Baker” to “Baking with Leftover Stuff I Find in My Kitchen”. I’ve done lots of recipes with leftover beer, leftover wine, leftover beer, leftover bananas, leftover beer, leftover pumpkin, leftover beer….what else are you supposed to do with good-quality, yet sadly flat, day-old beer? This time it’s donuts. 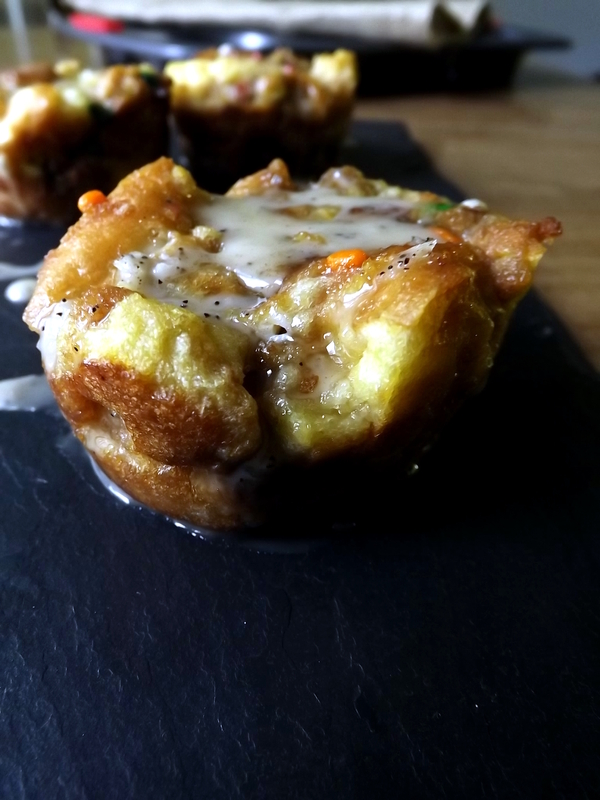 Donut Bread Pudding that is. And what goes better with donuts than Coffee? Oh, right, Whiskey spiked coffee. Do you ever find something new at the grocery store and think “Well that sounds weird but maybe it will be interesting”? You know, like pizza flavored Pringles or red velvet ice cream? Or Black Cherry Flavored Whiskey? Well, I can’t tell you much about the pizza flavored Pringles, but I can tell you that the black cherry whiskey was definitely…well…interesting. And not in a good way. The damn thing has been sitting in my liquor cabinet for nearly a year. I am so proud of myself. I finally managed to figure out a way to integrate it in to a dish and make it taste good. Really! 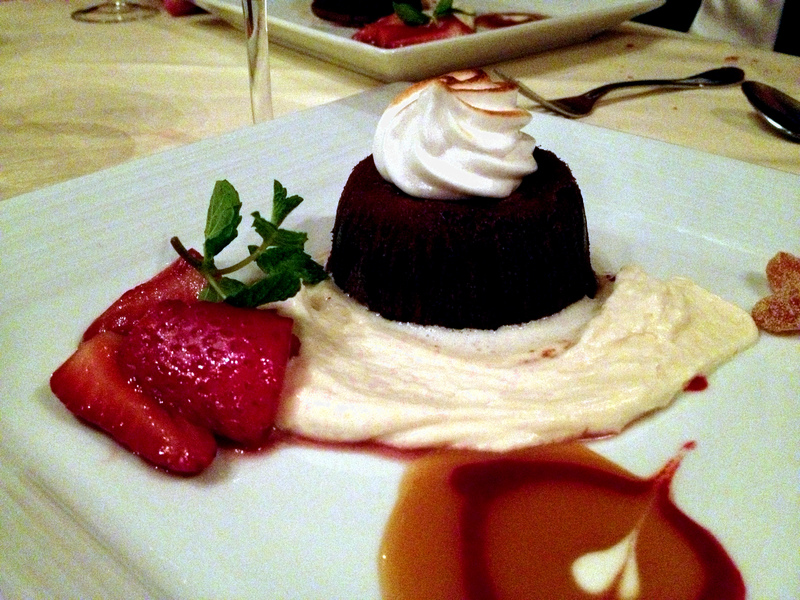 My Black Cherry Whiskey Creme Caramel turned out to be not only edible, but pretty tasty, if I do say so myself. I don’t like wasting good beer. To be honest, I am pretty loathe to wasting any food and, usually, I’m pretty decent at repurposing leftovers in to new dishes. However, sometimes I shove some leftover whatever in to my fridge, intending to work it in to another meal, and then ignore it until it turns green and fuzzy at which point I am forced to toss it in the trash. But, when faced with a nearly full but flat bottle of Old Rasputin Russian Imperial Stout, I had a plan. That’s a total lie. I had a plan to bake with it, but had no idea what the end product would be. 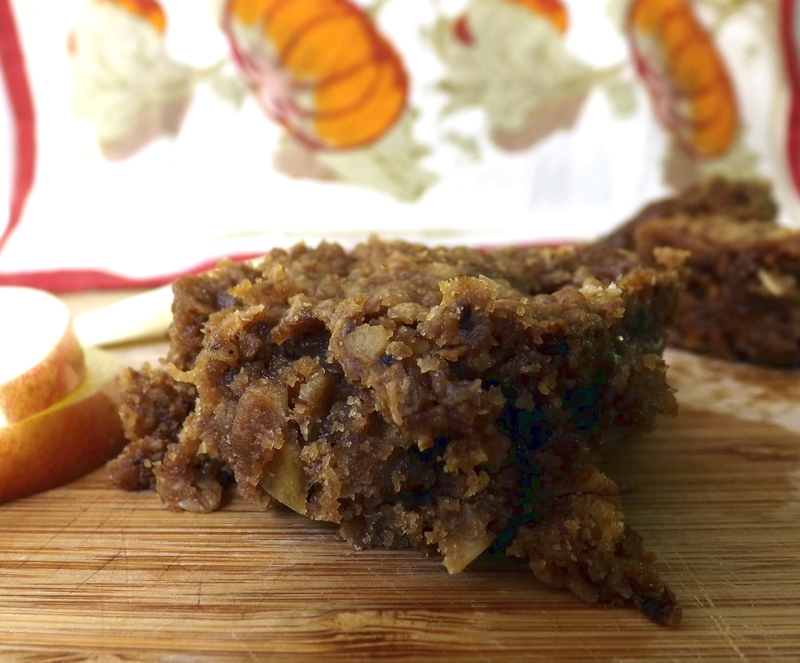 I pretty much tossed a bunch of ingredients together until I ended up, somehow, with these awesome Stout Apple Oat Bars. I’m not sure what happened…Just one day I looked in to my pantry and…cobwebs. Well, that might be an exaggeration. But I am out of eggs, white sugar, and all but a scant 1/2 cup of brown sugar. Which makes baking desserts, you know, a bit tough. But, some days, I just have to bake. It’s my outlet. My stress relief. I need my fix, man! 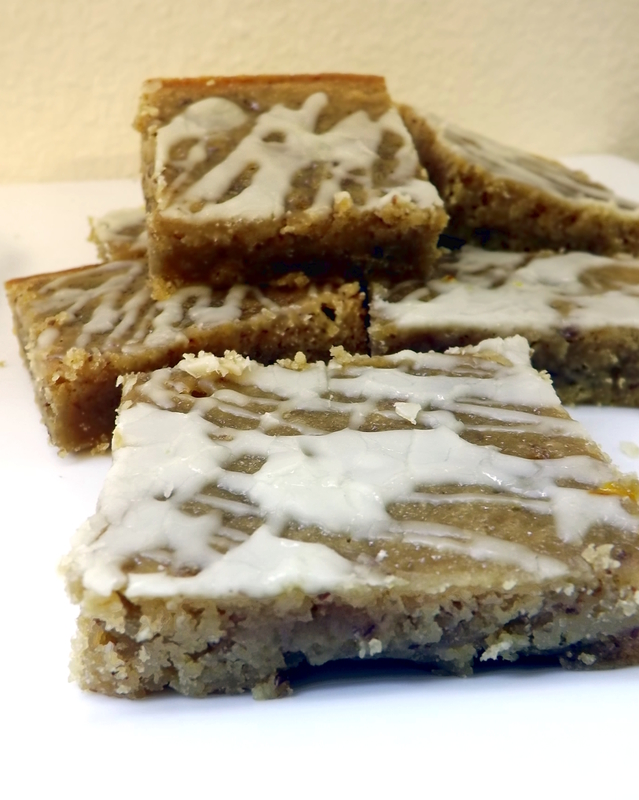 Somehow I scrapped together enough ingredients to create these awesome Banana and Saffron Blondies. 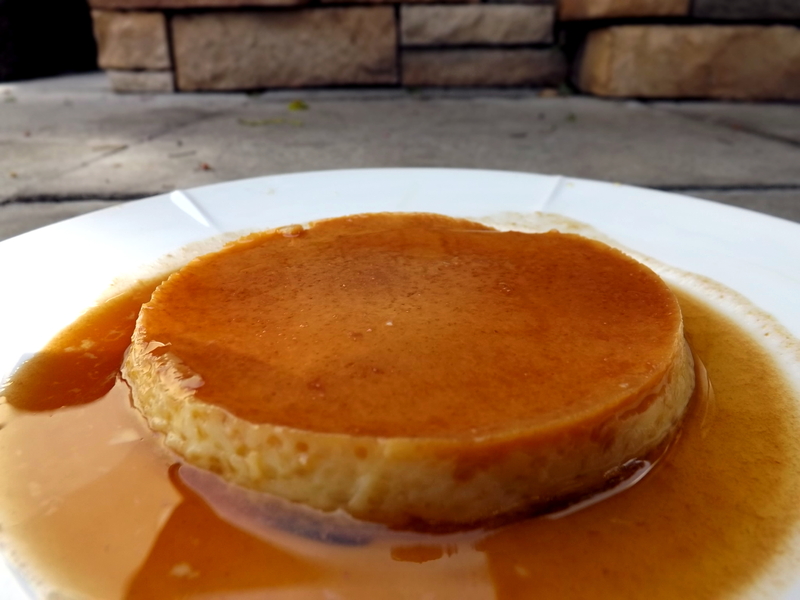 Have you ever tried out a new recipe or technique that you were sure was going to fail? A time when, every step of the way you thought to yourself “there is no way this is going to turn out”? And then it turns out perfect? 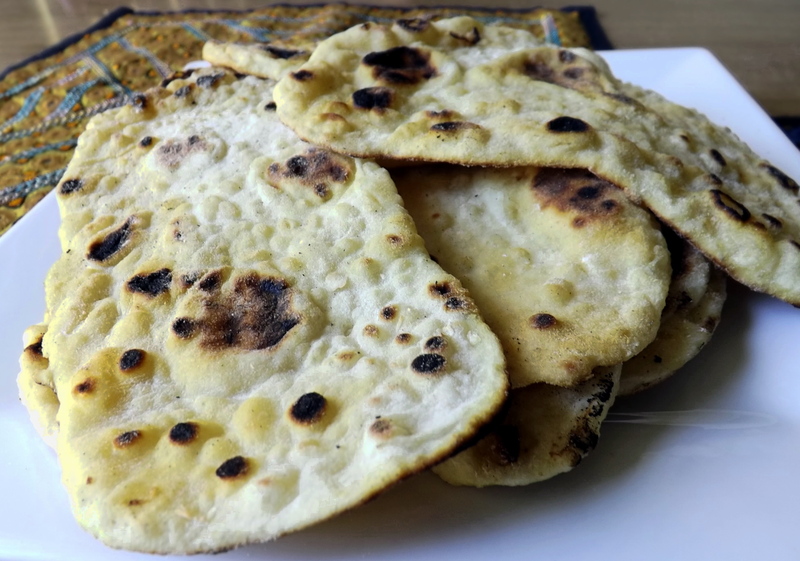 Somehow, someway, by some strange stroke of luck that’s what happened to me on my first attempt at making Naan. It was awesome :). I baked a loaf of real, yeast-leavened bread for the first time! 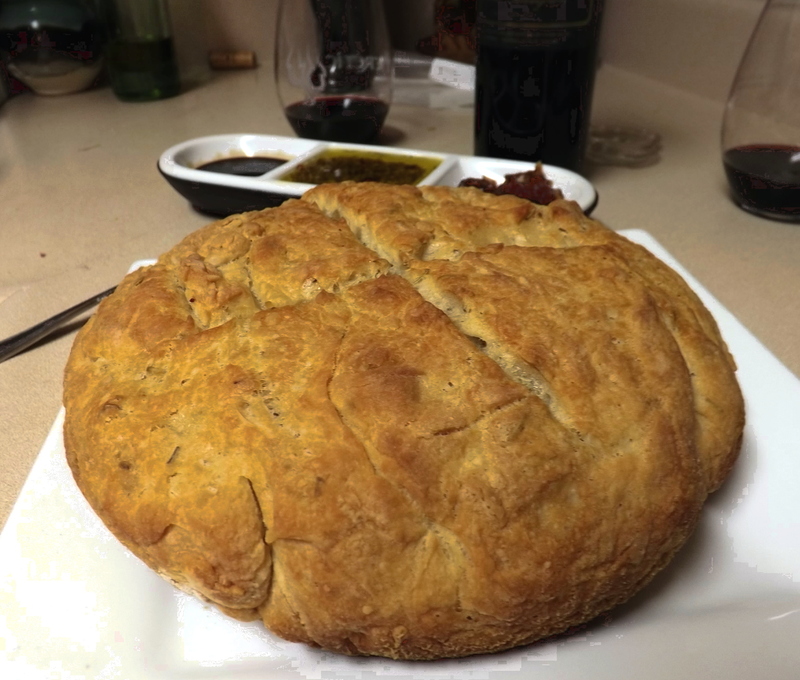 Rustic Rosemary and Garlic Bread! I am was scared of working with yeast. 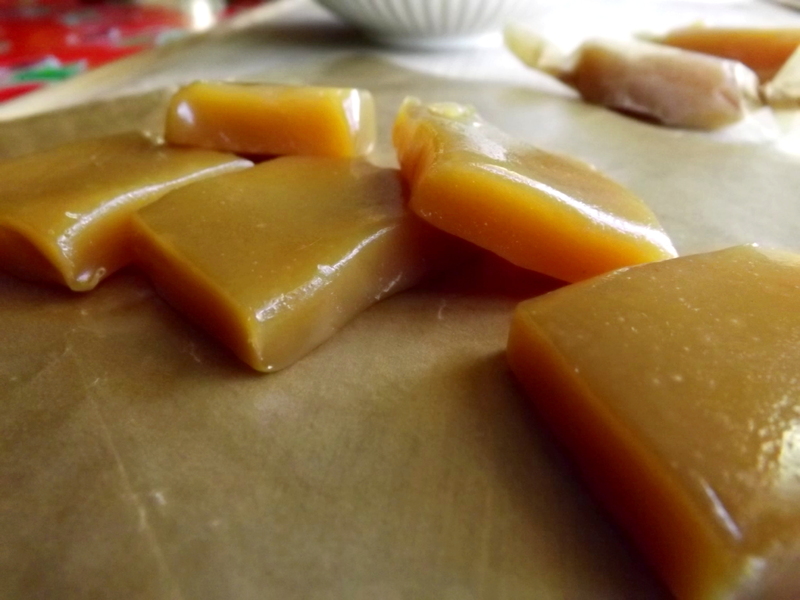 I made you some Cali-Belgique IPA Soft Caramels for the first of the year. Yes it is my sole goal in life to utterly ruin any diet related New Year’s resolutions. Muah ha ha.